I believe World-Schooling is ‘educating using experiences sourced from the world around you’. However, there are actually multiple definitions from various groups describing what the concept of ‘worldschooling’ is to them. You see the concept is vast and unique from one family to another. If you Google the term you will get anything from a Bloggers insight into what Worldschooling looks like for them (a little like what I have described further down this article), to organisations’ definitions. Essentially, there is no Oxford dictionary meaning, as it is a ‘buzz word’. You know, jargon that is popular within a certain culture or community for period of time. But, that said, lets unpack what it can look like. If your reading this then you must be interested in what Worldschooling is and how you go about it. So it’s up to you to define what it will looks like for you, your family or organisation. Something we do know is that Worldschoolers do not attend a physical school. That is considered main stream education. For us, we call ourselves “Worldschoolers”, “Roadschoolers” and “Homeschoolers” and use each of these terms interchangeably. We are Worldschoolers because we are travelling the world teaching and educating our kids ‘through the experiences sourced from the world around us’. Each new Country offers a unique education on History, Geography, Language, Science and so forth. Road-Schooling is another ‘buzz word’, but I think it captures the essence of current lifestyle of full time travel whilst road-tripping Europe. schooling your kids based on wherever the road takes you. 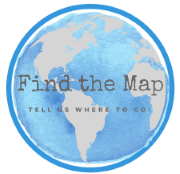 Sourcing experiences and learning opportunities from the environment and locations you visit. 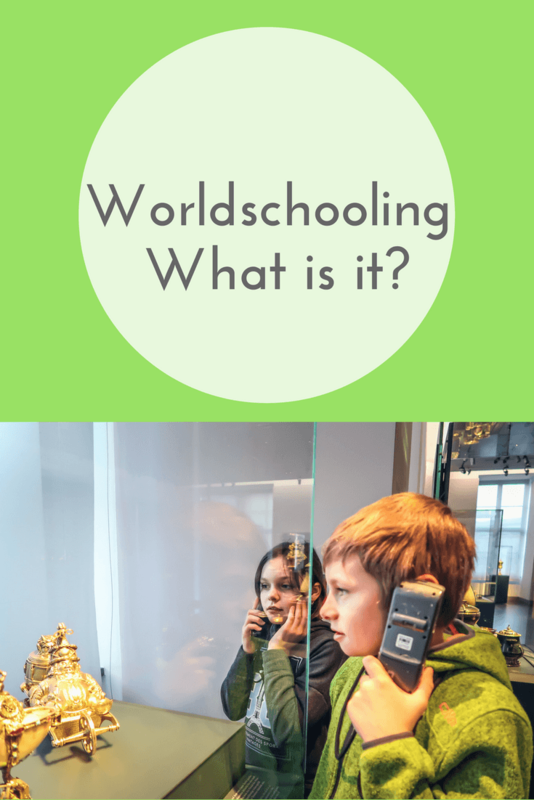 Homeschooling for us has encompassed structured learning based on a timetable and located at a physical ‘home’, but now we incorporate a lot more of the worldschooling approach into our homeschooling methodology. Like many families that are pursuing the digital nomad lifestyle, travelling full-time with kids, we have our own processes, timetable and thoughts around what works best. After all, each child is different. Some families choose to follow a set curriculum with a set routine, in fact when we started to home educate our kids we were quite structured in the approach with set routines and work habits, but thats no longer for us! Because, travelling requires flexibility! No two days are the same when you are travelling full time. Interested in Where we have Worldschooled? Or to find out more on Why we Worldschool, When we Worldschooland How we Worldschool, read on. We started homeschooling in Australia about six months before our adventure began. Prior to that our two oldest kids went to a regular ‘main stream’ school in the Adelaide Hills. 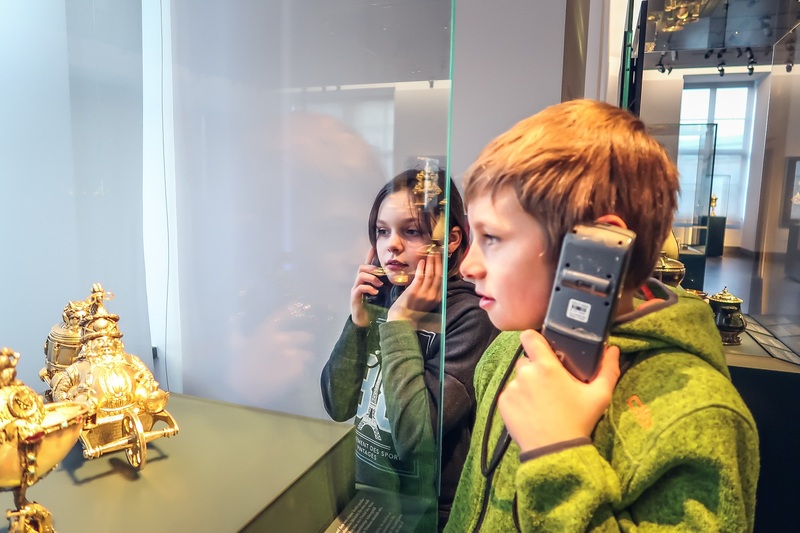 It was great, I have nothing against a standard traditional school education or what it offers, but when you choose long term travel with kids, you are choosing homeschooling, distance education or unschooling. So we withdrew the kids from the school and started homeschooling. Homeschooling is not for the faint of heart. There are many aspects you need to consider before deciding which option will work for you. Teaching is a skillset and not every student is a willing as the next. Mr D and I have totally different approaches, he is the ‘lets learn through play and imagination’ side of things and I am more lets ‘follow the steps to success in learning’ kinda gal. But between us we make a good team and we are all learning a great deal. Education is our priority, but it doesn’t follow the structure of a 9-3 school day with set lesson plans in English, Maths, History and so on. Travel with kids requires flexibility and patience. We are travelling in a Motorhome across Europe, which means most days we travel. In fact, some weeks we travel every day. Schooling generally gets done first thing in the morning, with reading, journaling and technology time slotted in around the rest of the days activities. Here our kids are experiencing new foods and tastes. Would your child eat Snails? Then other days might see us doing a Walking Tour, Bus Tour, Climbing a Mountain or exploring a town on foot. There is a world of learning in each new destination. We are Australian and therefore use the Australian Curriculum as our guidance on the requirements for each year level. It is available online, so wherever we are we can access the content. From there we use a combination of resources for each Subject Area, such as workbooks, excursions, online programs and Apps. These resources provide the content around the Australian curriculum guidelines. Our oldest started using the Reading Eggs App when he was four. It helps kids learn to read and has assisted all our children in this process. Now he is 11, he uses the Reading Eggspress App to assist with reading, gramma, spelling and comprehension. It has an online library where we can set the lexile reading level and he can select books within the range of a particular lexile. Our littlest has just graduated from using Reading Eggs Junior, which helps build familiarity with letters, sounds and words to Reading Eggs, which is helping her to learn to read in a fun game based environment. When she gets through each map stop there is a cheer. There is a great online Library App called Libby. We still have our library cards from our old library in Australia, which means that we can access the entire collection from the State Library. There are thousands of ebook and audio books for the kids to choose from. This has been one of our favourite online resources. It has access to thousands of libraries world wide, so if you can get a library card for an overseas library, you can access those libraries too from where ever you are in the world. This is a great resource for travelling families. Audible is another library resource we use whilst we are travelling in the motorhome. Audio books are a great resource to have on hand to ward off boredom and that famous question all parents love “Are we there yet”? When we have an audio book on, the kids will quite happily sit for a three hour drive totally absorbed in the story. Audible offers a huge range of audio books that you can stream or download and listen to at a later date. Why don’t you try it out. They offer two free audiobooks. Our kids learnt German whilst in main stream school, so we wanted to continue with that education whilst travelling. Babble is a great way to learn a language and although its not pitched at a child, the lessons are short and sweet and work well for us data limited travellers. We do maths online with a program called Study Ladder. It steps the kids slowly through each of the content areas in Maths that they need to cover under the Australian Curriculum. This program is a new addition to our resources and I can safely say the kids love it. There are speed drills, videos, tests and worksheets they can access, along with a reward scheme that keeps them interested and engaged in completing the tasks. We use a combination of workbooks for different Subject areas. Actually, we carry quite a few with us (over 30), which takes up lots of room and is quite heavy. Therefore, when we finish a book, we photograph it and discard it so we are not carrying unnecessary items. Travelling in a motorhome means you are limited for space. If you are looking for workbooks to supplement your own curriculum, Amazon is an excellent resource. 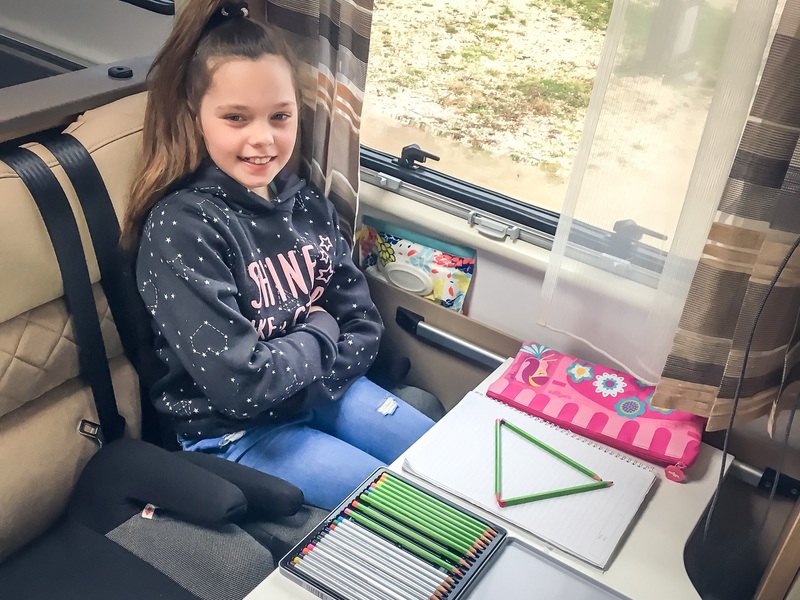 When you take on the nomadic lifestyle you do plenty of research on how other travelling families educate their kids to get a feel for how you can go about it yourself. Lots of families advocate that benefits of getting kids to keep a daily or weekly journal to keep up their writing practise. I though this was a great idea and so we tried this for a while, but found it was a tedious process for all of us. They just were not engaged in this at all, so now we do book reports, write stories, and send postcards back to friends and family. Even our old cats have been sent postcards! We love the concept of homeschooling (worldschooling) our kids. We get to see our children grow up and influence how and what they learn. Each day is a new adventure with new experiences, whether it be trials or joys we are there to share it all with them. Worldschooling is absolutely worth it!